… Prewash Fabrics or Not? This is our first This or That question. You bring home lovely stashes of fabrics from your favorite quilt store — do you prewash or do you not prewash your new fabrics prior to cutting them up for a project? 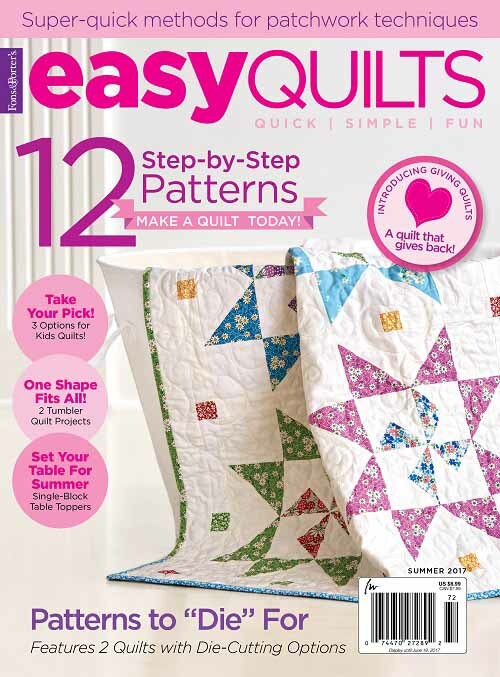 I generally don’t because I am always in a hurry unless I am using RED fabrics in my quilts. For my red fabrics, I do prewash multiple times. I have been burned too many times by not pre-washing my reds! So — curious mind wants to know what your response is to Ivory Spring’s This or That question! Happy Monday and Week, Friends! I hope you are well. I all of a sudden succumbed to a nasty cold over the weekend. I am recovering, but not totally up to snuff just yet. It’s a terrible feeling being sick and having to still try to work. I shall catch up with you later! I *ALWAYS* prewash my fabrics before I use them. I saw one VERY SAD quilt, at a quilt show… the fabric had shrunk a variety of directions… the poor thing apparently had been washed ONLY after it was put together. It sagged and bagged, with each fabric shrinking and stretching… It looked like it would have been a pretty quilt, BEFORE it was washed… very sad looking afterwards. Seeing that quilt taught me. My Mom was an avid quilter and all her quilting was hand stitched. 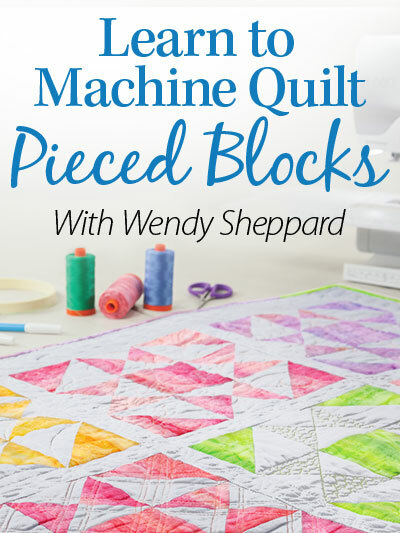 She never pre-washed, and you can imagine how she felt, when the backing of a quilt that had hundreds of hours of stitching, applique, embroidery and hand quilting came out of it’s first washing all splotchy and discolored! I ALWAYS pre-wash! I prewash because the fabric sizing aggravates my asthma. I don’t wash kits or pre-cuts but can only work on those when the weather allows open windows. I don’t just prewash, I presoak using the same process that I use on my hand dyed fabrics. Throuymy testing I learned that prewashing isn’t enough….even on commercial fabrics. I always, always, always prewash. I don’t want to be handling, much less inhaling when I press, fabric that has been treated with who knows what insecticides, chemicals, et cetera plus I want any bleeding to happen before it’s in a quilt on which I’ve spent hours and hours of work! I hope you are back to feeling totally healthy in no time! Good to know about red, Wendy. I hope you get better fast. Oh my, those elementary school years, you have to build up those immunities. It is rough! I don’t pure wash anything. If I am quilting with red, I wash it with a color catcher after I am finished quilting. Never had a problem with quality fabric. I don’t buy Fabric from big lot stores, way to many issues with them. I always, always prewash my fabric, and have still gotten burned a couple of times, once with a red, and once with a navy blue batik. Sometimes, I buy scraps, and I even prewash those (in a lingerie bag.). Color Catcher sheets are my best friend–you can tell immediately if something has bled, but it hasn’t ruined anything else in the load. If I’m suspicious of a fabric, I put it in a bowl of hot water to see what it does before I actually wash it. I prewash because I just could not stand to spend hours, days and months on a quilt where something runs. I have never had anything run – and this weekend, on a polka dot fabric, the dark blue dots spread. So it didn’t stain anything else, even though I had 2 yards of white Kona in with it, but the fabric itself is ruined. I’m taking it back. And it was going to be my sashing! I will still be prewashing everything. I never wash because then I would never have time to sew. I always use a color catcher when I wash the quilt when it is all quilted and bound. If there is a lot of color on it, wash it again. I always prewash. Some fabrics have been so far out of kilter that I barely had enough to finish my project. 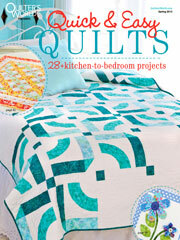 I do not want that twisting to mar my quilts after someone washes them. It is worth the effort to me. I wash before cutting because I have a big shedding retriever mix dog and two cats. Hope you feel better soon! I hate trying to work with a cold. Praying for you! Nope … Never… Color catchers are to awesome… I would rather be sewing or quilting….and I have NEVER has fabrics bleed together !! Right there with you , Dawn! I always prewash because the chemicals in new fabric are just plain not good for you. My daughter is an industrial designer and warned me to prewash. She said the chemicals aren’t great for you especially when combined with heat(as in a hot iron). Hope you are feeling better soon! The only colors I prewash are the reds, dark blues, dark purples and blacks. The rest of them I toss in Color Catchers when I wash the quilt. Feel better soon, Wendy. Those colds are always nasty. I hope it doesn’t spread through the family. Feel better soon! I don’t usually wash fabrics, unless it’s red. And then I use a Shout Color Catcher or 3 on the wash. I’ve occasionally had blues and blacks, bleed, too, so I’m more careful about the brands I purchase. If something bleeds on a quilt after it’s washed, I just put Shout on the spot and wash again, with new color catchers. That usually helps. I know there are other solutions that also get out the over-run dyes. I do no’t usually prewash. The last batik fabric I bought I decided to prewash both the red and the blue. Boy am I glad I did. The red was not the problem. I didn’t think I would ever get the blue to stop bleeding out. I don’t sew, but if I did, I would definitely ore wash red fabric. It can be tricky in terms of fading. Wendy, I just prayed for your healing to manifest. My godchildren, mothers, and grandfather just got back from DC, and a few of them are battling sad cold. I pray you are feeling better and functioning well SOON. I don’t know where the word “ore” came from??? Weird. ;-). It should also read “said” cold, though it is sad, too. Colds always are. No fun to be battling illness. I always wash quilting fabric before using. Manufacturers may not be consistent, and some may shrink or not be completely colorfast. Better safe than sorry. I dont pre wash new fabric because here in the UK fabric is very expensive £12 a metre. Good quality fabric should not shrink and it should not bleed. When i put a quilt in the wash, i also use clour catcher sheets from Dylon. Never had a run new fabric from doing this. Ther has been just one exception , a quilt I named the stolen blouse ! Yes you read that right. Let me explain, it was my 2 nd quilt, I had no stash, there was no quilt shop near me, did not no there was such a thing as a quilt shop. I used fabric from old clothes thrift shop and a new white sheet. I had no idea how to make a quilt I just wanted one. I am a sewer so pieced it together my way. I wanted a plaid red applique border of swags and bows. No plaid to be had. My mum came to stay and was wearing the fabric. Her blouse was perfect, she had it for years and years. It was her favorite. I knew she would not give it too me in that case to cut up !!! Horror. So when she went home her blouse did not. She rung me ” is my red blouse still in the wardrobe, I cannot find it. ” i truthfully said ” no it isnt in the wardrobe ” ( it was already cut up into swags and bows ) it was time to come clean and face the music. The words just would not come out my mouth, i had never stollen a thing in my life then or since. I prayed she would just forget about her old blouse. She did not forget and eventually worn down by guilt I had to fess up. She was more then angry. I offered to buy her new one, at any expence, she refused, how could I have cut it up , i asked if she would have given it too me, she said no not to cut up. When she saw the quilt all was forgiven. Now some time later years infact and mum had passed, I was asked by my quilt group where I was giving a lecture, to bring my early quilts. I dragged this quilt out the cupboard and it had been washed a few times but was musty, so I threw it in the tub to wash. The red ran all over the quilt and turned all the pristine white PINK , it looked dreadful. i guess mum had the last laugh. I still took it too class to show them my mistake. I was understandbly very upset after all I had gone through with that quilt to have it ruined. I washed it 3 times it got worse. A lady told me to wash it with dylon colour restorer. I did and it removed every single run and the white was again pristine. The only fabric I pre-wash is red. That definitely tends to bleed alot!! By the way I have followed your site for ages and love it, but lacked the courage to join in. First thing I do when I come back home with fabric, I sew a zig zag on the border of the fabric and I wash it. For dark colors I add a sheet of color guard. I put it in the dryer too, after, I fold it. When I have time I iron it, fold it, put it in my stash and then it is ready to audition for my next project. I realize i don’t calculate all the efforts I put in this part of the preparation of a quilt. Thanks for asking. I always prewash when I bring the fabric home. If I don’t have time I put a note on it that it has not been washed. My quilts are complex and time consuming. No way do I want a fabric to mess up my work. If it is going to be a problem I want to know up front before I cut and sew. I cut the tip off the cut edges of the fabric piece so i know its been washed. It’s supposed to help keep the fabric from unraveling but it doesn’t seem to help much. I always prewash. Most of my quilts are gifts and I want to know what that fabric is going to do before it leaves my house. My friend who does not prewash, gave me a darling PP Santa wall hanging. I stored it after the holiday (it was in the house and did not get wet.) The red bled. I also made a quilt for my son. White/off whites and blues. I had prewashed the very dark blue batik border with color catchers that came out as dark as the fabric. I didn’t wash it again and when I washed the quilt, certain whites picked up blue dye. He thought it was supposed to be that way, but I was upset! Now, even if I have washed it….if the color catchers are dark, I wash again till they are white (or light). I also gift a box with a new quilt. Sorry about your cold…hope you get better real quick. If I sewed I probably would not prewash ! I only buy top quality fabric and therefore never pre-wash. 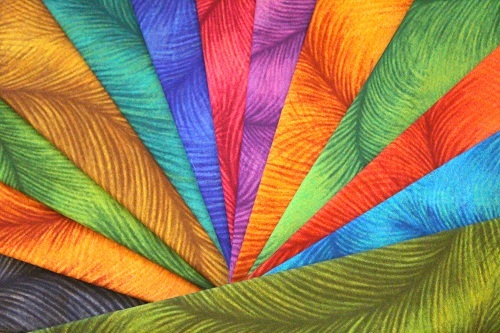 If there is a lot of red and the quilt will be a gift I will also buy a box of “dye catcher” to enclose with the quilt. I like the feel of the new fabric and how it “behaves” during construction. I do not pre-wash as I like the way the fresh fabric looks in quilts. I do use the “dye catcher” whenever I wash a quilt and have had the best of luck with them. I was taught to prewash everything due to possible bleeding and shrinkage in other venues of sewing. 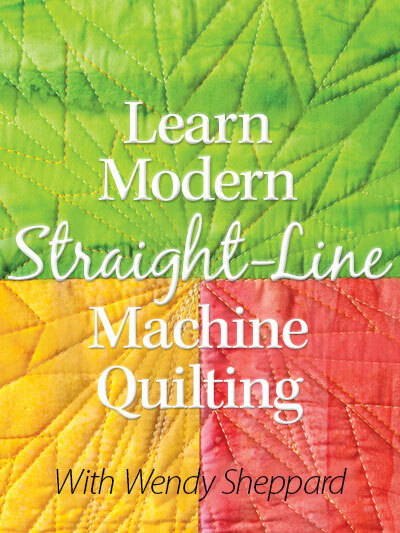 I had always thought the same would apply to quilting, but it seemed like it would be awful tedious to wash all those different fabrics. I had not heard of some of these products – good to know! I’m sorry to hear you’re sick! Hope you feel better soon! Prewash it all, shortly after getting home! Like you, Wendy, I only pre wash red. Got burned once and that was enough. I think the fabric manufacturers have figured out the fading and shrinking thing so we don’t get that much of it anymore. Hope you are feeling better soon! If I were your neighbor I would bring you chicken soup!!! I always pre-wash now but wish I didn’t have to. Do you mix your washed reds in with other fabrics in a quilt that have not been washed? I’ve been tempted a few times, especially when I want to use small scraps that have not been washed, but I’m afraid of what will happen! When I bought fabric, I carried it directly from the car to the basement laundry room to wait for the next load of washing. Big time saver and worried less about dyes and shrinking. I always pre-wash and, since rather like it, I iron all new fabric. 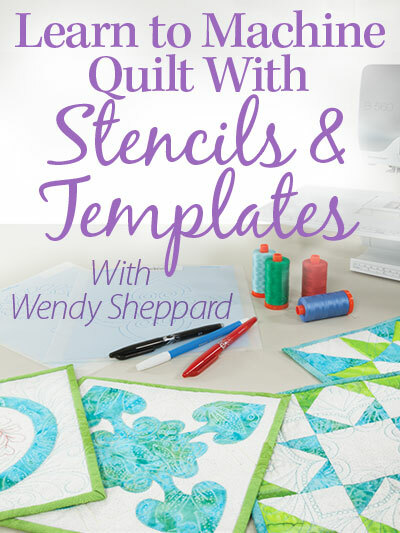 If the pieces are fat quarters, and I am going to use them on a working project, I also starch. 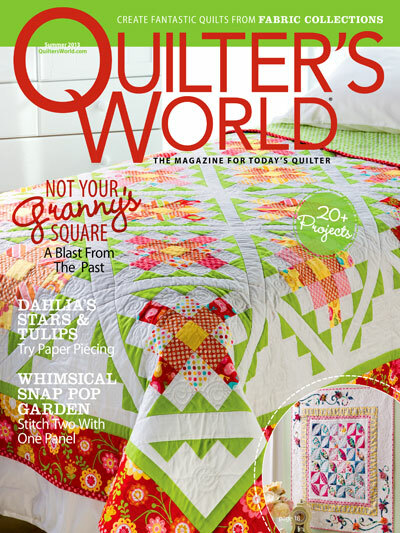 I asked my quilt group the question last night and one of the best answers I got was this, and she quilts for a living . When you buy new fabric cut off a two and a half inch square and put it in a jam jar with hand hot water. Shake well and leave overnight. If water changes colour then fabric bleeds. Question answered you need to wash it. If so snip all four corners to stop fraying, throw in a good handful of salt to set the colour. Then test the squate again. She measures the square after it comes out the jam jam to see how much shrinkage too. For me it was duh ! Moment, why dont I think of these things . Personally i like the starch effect when I am piecing , but I am lucky to not have allergies. That must be a nightmare to a fabriholic. 5) you spend more on fabric then you dare admit to yourself or your dearly beloved. 6) last of my excuses is i will iron my stash fabric lovingly for hours and hate ironing clothes which is a chore but I have too do. So my name is ? Sorry about spelling mistakes, squate where did that come from ? Was Square. This might make you smile, going away in caravan for a couple of days, sewing coming with me, where to put the fabric I need or might need and cupboards full of essentials not quilt related. Answer one cushion is without its pad. My fabric replaced it. Dh will never guess he may lean on it with pleasure. He never complains except over lost pins which he always finds don’t go there loll. Funny I have never sat on a pin or got one in my foot so why does he ?? Without fail it attacks him. To Iris Stock – whenever my hubby found a pin with his foot my response was ” Oh, Thank you, I’ve been looking for that”……took the wind right out of his sail!!! I never prewash – I use whatever colour or print is right for the project and that means breaking into charm packs and layercakes. what happens if yardage is prewashed and precuts aren’t? So I just don’t bother, chuck in a lot of colour catchers and cross my fingers! No, I do not pre-wash fabric. I like the feel and structure of fabric that has not been washed. If I wash, then I want to iron the fabric and I’m too eager to start the project to do that. I’ve never had an issue with reds but good to know a pre step just in case! I always prewash my fabric ~2 cats and a golden retriever mix who sheds. a. lot. I also prewash, to get rid of excess dye and the chemicals. I was doing a block of the month with red & white fabric, did not prewash. One of reds ran when I sprayed water to get rid of the blue fabric marker I used to mark the quilting. I will try the color catcher to see if this helps. I also had red thread bleed through, I quilted with the red thread and once again sprayed to get rid of the blue marker and the thread bled. I did a complete wash and the red came out. Note to self stick with the disappearing purple pen. Also had a yellow batik fabric bleed onto another fabirc in the washer when they were left there wet. I always pre-wash flannel and don’t prewash cotton very often. I do steam press it thought and check for color bleed. I dampen a q-tip and rub it on the fabric to check if the color transfers. If the color transfers to the q-tip I would prewash or not use it. I prewash, I have a quilt that i made at a retreat, the fabric had to be used unwashed. When I washed it, some (many) of the seams frayed due to the fabric shrinking and being quilted. So , will always prewash. I usually do not prewash at all. Unless it is a red and white or if a quilt has solid black I will prewash the read and black a few times. I hardly every prewash the fabric. If I do prewash the fabric would be used for table runners or table toppers that would be laundered. If it is wall hangings then No. Yes, I do always prewash all materials. I seldom actually get to buy brand new from a fabric store; I usually buy fabrics second hand, but have been very lucky and have purchased brand new with the tags still on. Plus, I have won several fabric quarters and other fabrics which is also spectacular. I also am totally hooked and in love with Color Catchers. So they are now used with every fabric wash also. Sorry that you are not feeling well! Definitely take care of yourself, my stuffy sinuses turned almost instantly into an infection and I within a few days just felt awful. The doctor put me on a pretty high dosage of Penicillin, an allergy medication and a nose inhaler. Another bloggers young son had to spend several days in the hospital when his cold turned into a terrible infection just overnight. I just thought you might want to be on the lookout and be aware of some of the things that are happening with the colds already this year. I truly hope you feel better quickly. Oh and please stop by and see my completed Scrap Dance Mystery Quilt Top. I got it all assembled and am working on the borders now. I just love it! Thanks for sharing and have a wonderful creative day!